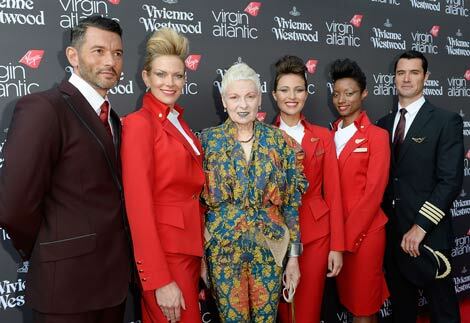 Virgin Atlantic and designer Vivienne Westwood last night unveiled the airline’s new uniform collection. The “red threads” will be worn by Virgin Atlantic staff on flights and in airports from September 1, following a successful trial over the last year. 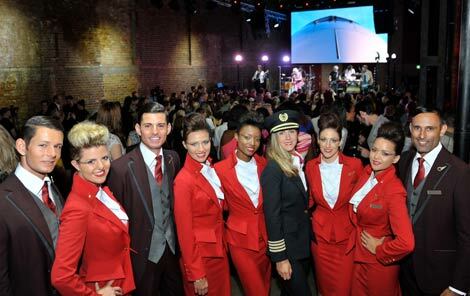 The new female cabin crew uniform retains the Virgin red, with a jacket that “enhances the female form with the aid of cleverly placed bust pleats, a nipped in waist and a curved hip line” and a pencil skirt that “looks deceptively simple from the front then reveals a cheeky dart and double pleat at the back”. The male cabin crew uniform features a three-piece suit “in rich burgundy wool”, with shadow details in grey wool under the lapels and pockets. In total, over 7,500 Virgin Atlantic staff including cabin crew, pilots, Clubhouse staff and Virgin Holidays employees will receive the new uniform. 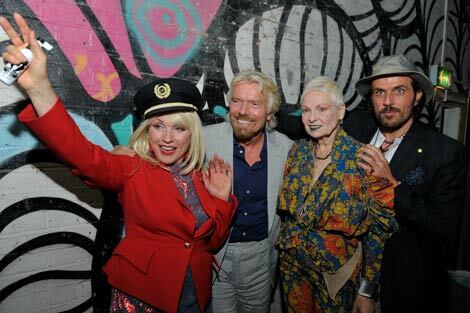 The uniform was launched at an event at the Village Underground in London’s Shoreditch yesterday. Among those in attendance was Virgin Atlantic founder Sir Richard Branson, Westwood, Blondie, Goldie, actress Naomie Harris and models Lily Cole and Daisy Lowe. 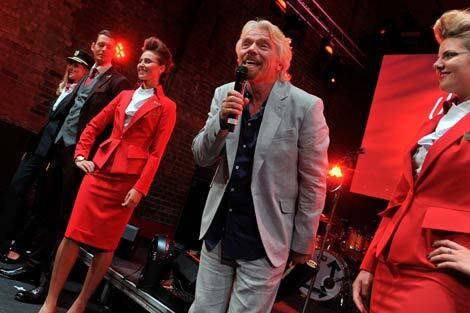 Branson last year said the airline’s current uniform “has been around for more than ten years and we have seen other airlines start to copy it”. Last month, Virgin Atlantic celebrated its 30th birthday and announced that the inaugural route for its B787-9 Dreamliner will be between London Heathrow and Boston (see news, June 22).